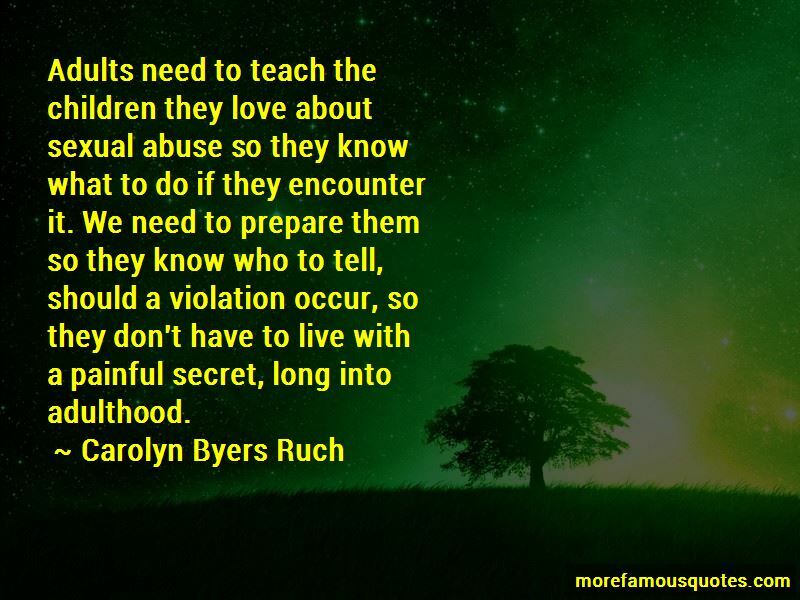 Enjoy the top 12 famous quotes, sayings and quotations by Carolyn Byers Ruch. grounded in honesty and trust. It's a win-win situation. 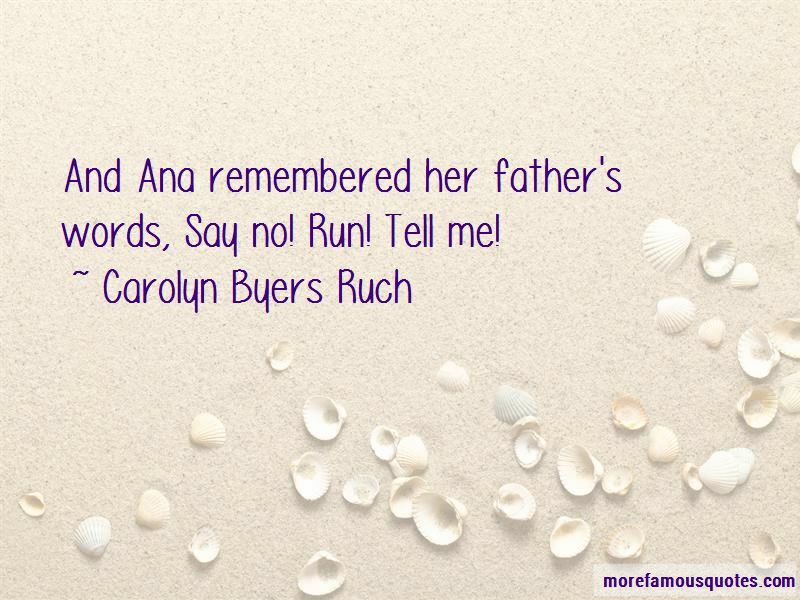 And Ana remembered her father's words, Say no! Run! Tell me! 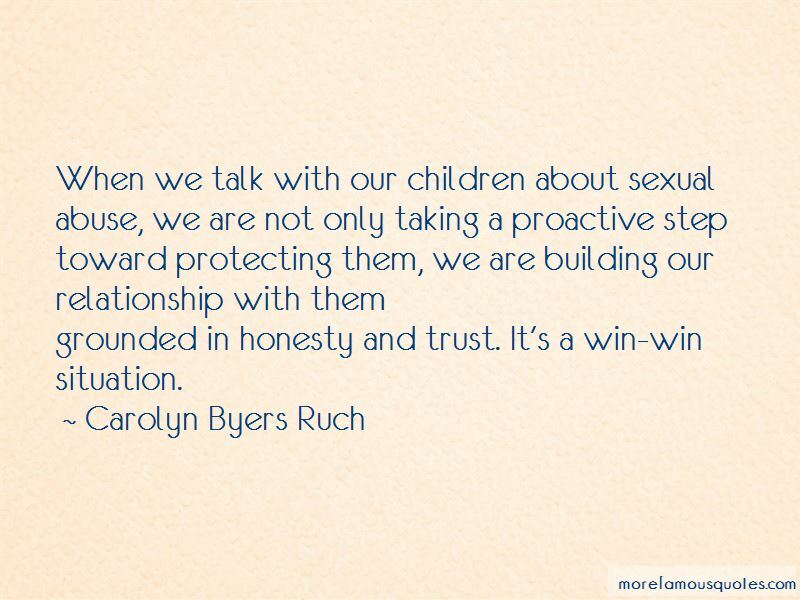 Want to see more pictures of Carolyn Byers Ruch quotes? 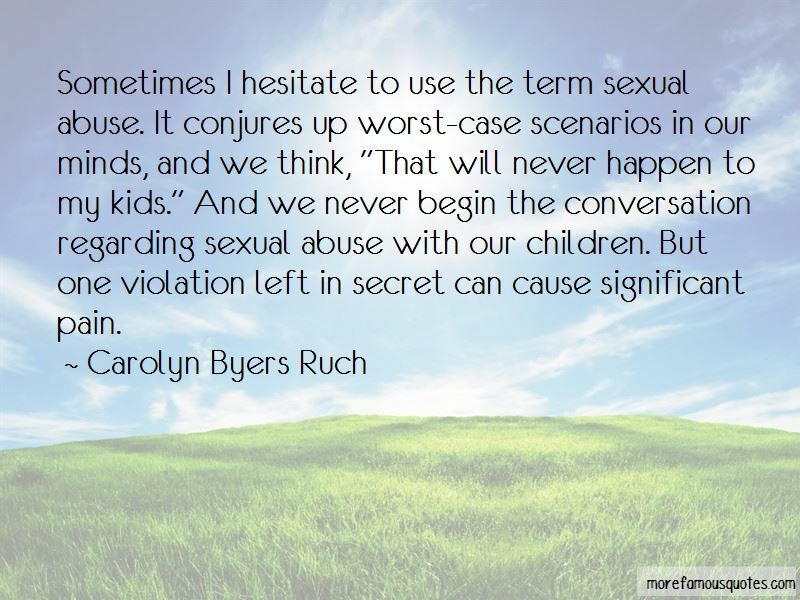 Click on image of Carolyn Byers Ruch quotes to view full size.